How to choose the right Outsourcing Partner? The astute decision to outsource accounting needs to be followed up with a shrewd choice of accounting firms or individuals. The wrong choice can saddle an accountant in an organization or business with a mismatched or incompetent service that will be of little or no use. An accountant runs the risk of squandering away the advantages of outsourcing by picking on the wrong agency or individual. It is therefore important that an accountant who decides to outsource, spends adequate time and effort in zeroing in on the right agency. Of course, this can be easier said than done, considering the large number of agencies and individuals who offer services. 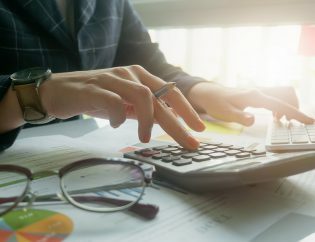 With hardly anything to use as a kind of filter, an accountant may sometimes find it bewildering to home in on the most suitable service provider, and unsure how to proceed. 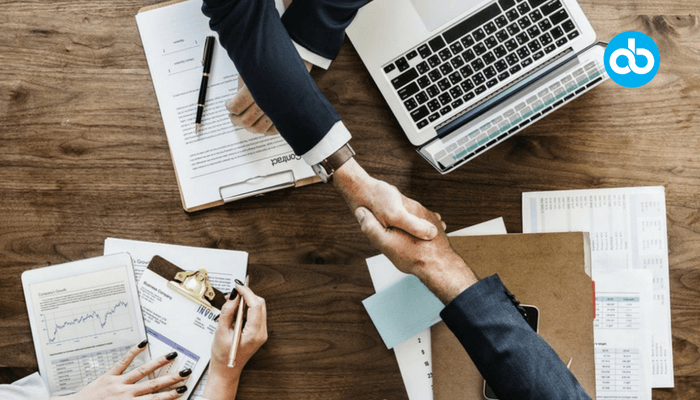 Here is a little cheat sheet that can be used for short listing and choosing the right outsourcing partner from a long list of prospective outsourcing partners. This will be something like a bolt from the blue for those who may not have considered this to be a factor to determine suitability of an accountant partner. GDPR, acronym for General Data Protection Regulation will be effective from 25 May 2018. While an accountant in a small business may sometimes regard GDPR as unrelated to operations, it is not exactly so. For instance, if an entity offers services that are used by individuals or agencies within the EU and if transactions involve data of such clients, then it becomes the responsibility of the agency to have safeguards in place to protect the data of the clients. This automatically means that an accountant needs to ensure that his organization and its outsourcing partners are GDPR compliant. If, on the other hand, if the organization does not deal with other third party data, there will still be a need on the part of the outsourcing partners to be GDPR compliant as the agency will be dealing with the data of the business. While the onus will shift to the accounting firm in this case, it will certainly help to engage a firm that operates fully within the law. A penalty, if and when imposed will have a telling effect on the accounting firm and there are possibilities of fees being hiked marginally to offset the penalty paid. Bottomline – before choosing the right outsourcing partner, GDPR compliance and its implications needs to be fully understood. The ballpark for hourly accountant fees notwithstanding, it would certainly help to understand how an agency calculates the commercials. And the most important aspect is to understand this beforehand and not after signing up to outsource accounting and bookkeeping. Typically, the rates would swing anywhere between 75 to 120 pounds per hour for basic services. 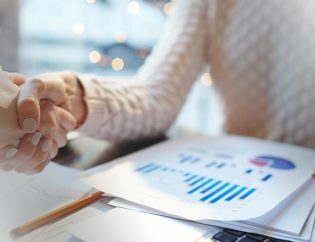 For value added services the prices will differ and depend entirely on the nature of services sought and the experience and expertise of the specialist in the accounting firm offering the service. An accountant needs to seek and understand the ballpark estimate and work out a rough calculation to arrive at an estimation of the number of hours of service that may be required. And it would pay to opt for the services of an accountant partner firm that is fully transparent. Hidden costs and clauses have a way of cropping up at the last moment. While certain costs are perfectly legal, the crux of the issue is the sharing of such information beforehand. Not only does it help a business in terms of keeping the outflow low, it also helps in building confidence levels with the firm. Bottomline – opt for the services of a firm that spells out every single detail clearly and unambiguously. Basic accounting services can be outsourced to offshore entities, given the nature of services. Typically, the rates range from around 8 Pounds to 25 Pounds per hour. 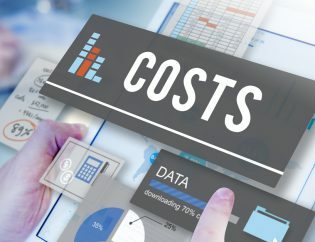 This works out well for organizations that do not have big budgets and accountants in such organizations looking at cost cutting measures can actually choose offshore entities. However, as mentioned elsewhere what needs to be ascertained is the compliance aspect and the use of software that is as per a standard and structure that is compatible. For instance, it is necessary to maintain records of transaction in a manner that is generally accepted. The offshore accounting service to whom the requirement is outsourced, should therefore undertake the data entry and compilation of data, in the same format as prescribed. This is best achieved by querying about the software used and verifying about the compatibility. 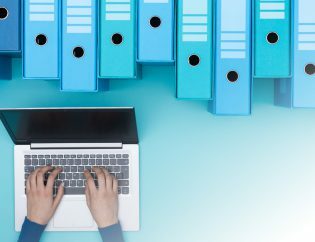 Databases that are generated out of data entry may require to be shared in a soft copy format and a compatible database will then become necessary. The rates are no doubt reasonable and attractive, but the output needs to meet the specific requirements. This is the era of digital natives, and to compete as a business it is important to be tech savvy. This applies not just to the business but to the whole ecosystem in which the business operates. It is therefore important to choose an accountant partner agency that makes use of technology to deliver services. This will ensure that the reports generated are in a format that is easy to understand, in addition to being made available on demand. The technology and platform that is used for delivering the services and performing the accounting functions needs to be the latest. Take for instance, the cloud. Cloud based accounting services offer clients and accounting firms a collaborative dimension, in addition to helping clients seek and receive reports at any time, from any place. Mobility on the other hand is slowly transforming the entire landscape, and it is therefore necessary that the accounting firm offers services that cater to this need. This is one of the most time efficient and convenient methods of working. Bottomline – The chosen outsourcing firm needs to adopt and make full use of technology while delivering services. This is one of the most important aspects of outsourcing. An outsourcing partner may have the required knowledge in the domain and may be an expert service provider. 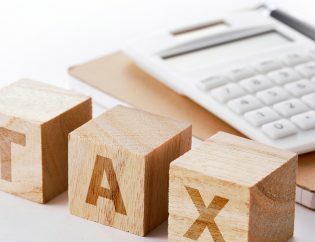 However, if the accounting service has little or no expertise or exposure to the local regulations and legislation, the whole exercise may turn out to be futile. This needs to be borne in mind especially when choosing the right outsourcing partner from offshore entities. However, it also needs to be added, that there are many entities offshore, that specialize in services for specific localities. For instance an agency in another nation may have a division that has experts on the regulation and legislation of another nation. Such scenarios exist in accounting firms that have separate divisions, specializing in niche areas. This is more of an caveat emptor on the part of the business partnering with the accounting firm. Bottomline – The chosen accounting firm needs to possess adequate experience and exposure about the requirements that are intrinsic to a particular location where the business operates. The credentials, certification and experience of the agency or the individuals behind the agency counts a lot. This overall accounting experience will help the stakeholders to steer and direct the others in the team to discharge accounting services in the manner that is necessary. A firm is only as good as its stakeholder. This is relatively simple to ascertain, when compared with other aspects and factors that need to be verified. Qualifications and credentials are aspects that an accounting firm proudly shares with the prospective clients. This requires a careful scrutiny to ascertain suitability. For instance, if an accountant requires basic bookkeeping services and year end accounting services, then there really is no need for a fancy global team of accountants who offer corporate accounting and advisory services. All that will be required is an AAT certified individual in a firm to take up the tasks. Similarly, if the accountant is on the lookout for advanced advisory services, then the need arises for a suitable, experienced, qualified, specialist like an ACCA, CIMA or CTA. Bottomline – Businesses need to strike the fine balance and ensure that there is no overkill or underkill when it comes to choosing a firm. 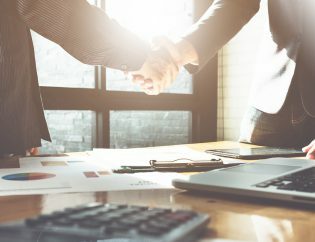 This is a healthy aspect and will help to nurture good relations which can sometimes help both the accountant and the accounting firm to thrash out issues. A firm that does not offer its clients adequate time for interaction or does not immediately respond to queries is certainly not the very best as an outsourcing partner. It is therefore important to choose a firm that devotes sufficient time and has in place a channel for swift and effective communication. 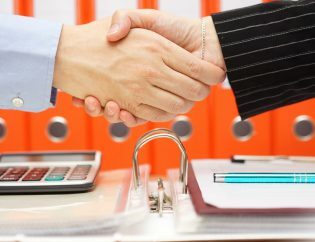 This will be helpful in the event of urgent advice that may be necessary for an accountant who needs to iron out formalities regarding a new agreement or a venture. The compliance aspect and the regulations that need to be considered during all financial transactions require the opinions of specialists. Therefore an accounting firm needs to be in a position to support the client with necessary information and recommendations as and when sought. Bottomline – Choose an accounting firm that has in place a particular channel for communication when the need arises for urgent expert opinion. The very idea of outsourcing accounting operations to a firm is to take advantage of the expertise of a team of accountants and to avail of the services in a manner that reduces cost without affecting the quality of the services. This is, in essence the very purpose of outsourcing. A chosen firm should ideally offer services that can be customised to meet the specific requirements of an accountant in an organization. This means that the accounting firm should be more flexible in offering services, rather than following a rigid model. Because to put it quite simply, no two businesses will ever require the same services. There is bound to be some difference in the way transactions are performed within the same domain. The volume of transactions may also be different. Bottomline – The accounting firm needs to offer services that are customized and flexible to meet the actual needs and not the notional needs of a business. This is the age of technology and accounting firms are expected to offer insights into operations and financial aspects by way of reports that are based on analytics. These reports and insights that crunch numbers will invariably be displayed digitally on screens for the benefit of accountants and key personnel. The whole idea behind these customized reports is to help accountants explain more about transactions and projections. The reports should therefore be simple and in uncluttered interfaces and dashboards. The reports should be simple enough to enable the accountant to explain and interpret the reports displayed on the screen, to business owners or stakeholders, so that various figures and projections are easily understood on demand. Bottomline – Customised generation of digital reports and financial insights. 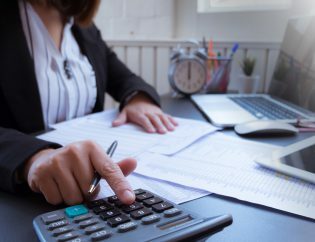 Outsourcing of accounting services will help an accountant to handle overall activities and entrust this important aspect to other experienced and qualified professionals. The advantages in terms of value that is added can be of great assistance to an accountant and the business he represents. Maintaining a full department of accountants may not always be the best option for an accountant. Separate departments will become necessary when the volume of transactions reach a level where the amount spent towards outsourcing is close to the operational overheads for an accounting department. Till the time these ends do not meet, it would make better business sense to opt for the specialist services of accounting firms. 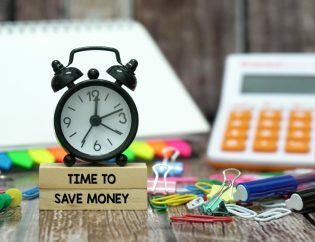 An accountant who decides to outsource accounting and bookkeeping services, needs to ensure that the right choice is made to fully reap the benefits of outsourcing.